Luxury apartment with spacious rooms and lots of light, for rent in the privileged neighbourhood of Justicia. 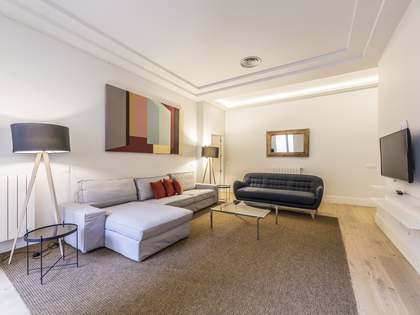 This magnificent luxury apartment enjoys ample living spaces and great natural light: an ideal home in Justicia, one of Madrid's most exclusive neighbourhoods. 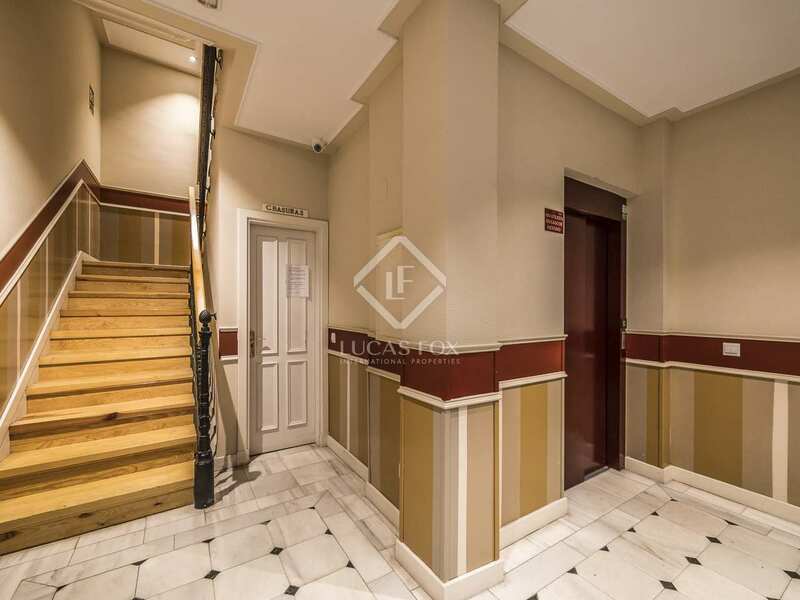 We are welcomed into the property by a bright entrance hall with a bathroom on the left. 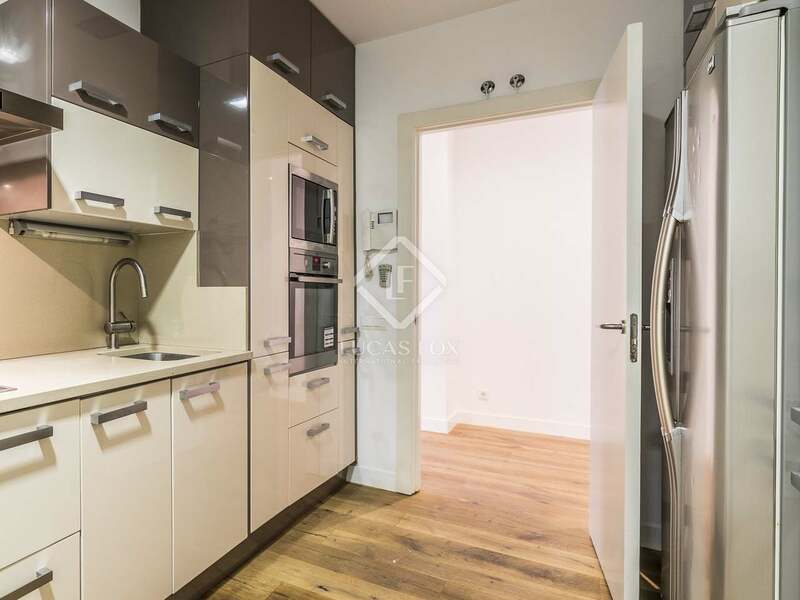 Next door we find a large kitchen with plenty of space for a small dining area/bar. 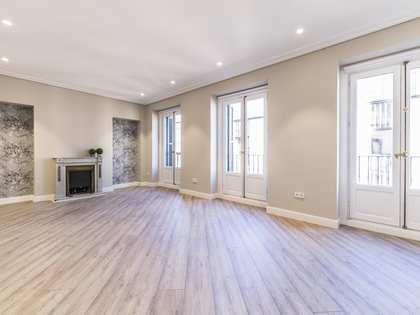 Leaving the kitchen, we return to the entrance hall which then leads to the core of the home: a living room of over 40 m² with 3 large windows through which abundant natural light floods the day area. 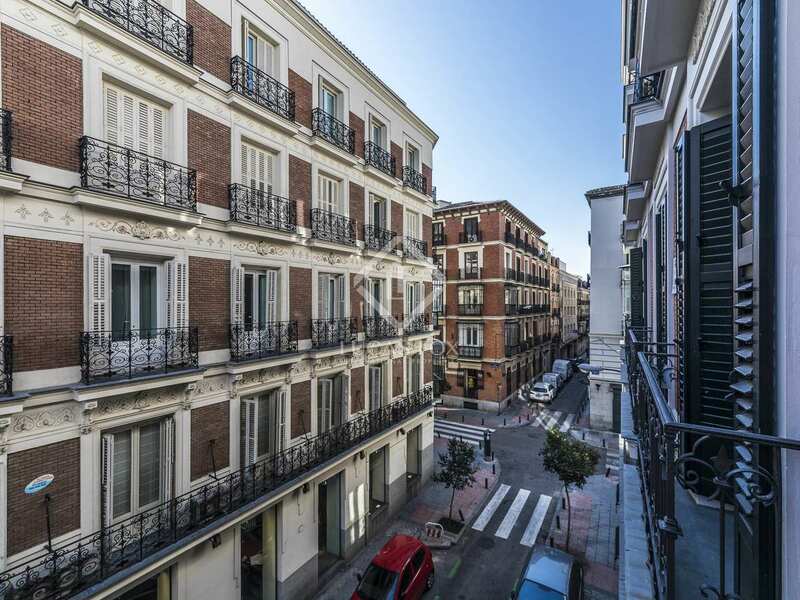 Each of the 3 windows opens onto a balcony. 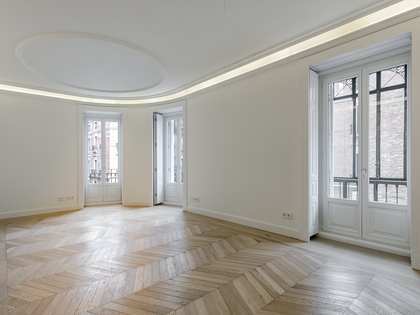 To the right of the hall is a large area with space for built-in closets. 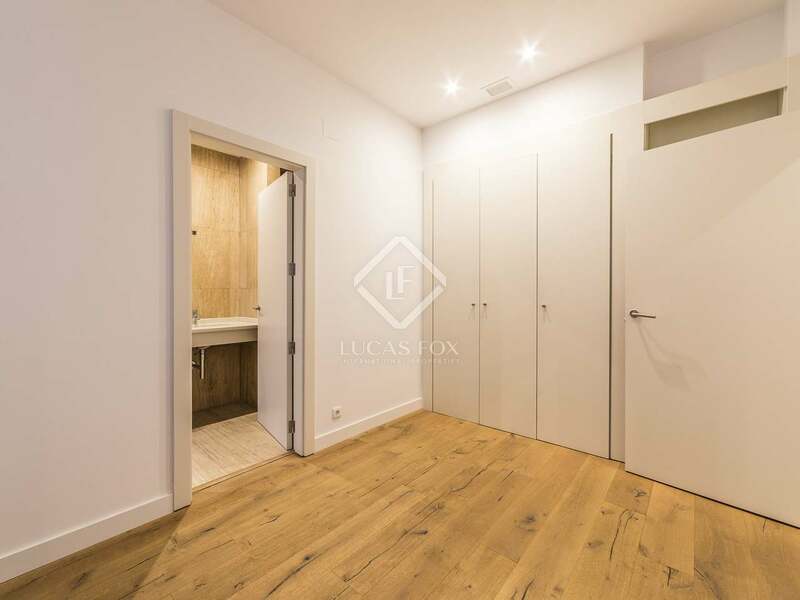 A short corridor leads to the 2 bedrooms with built-in wardrobes. 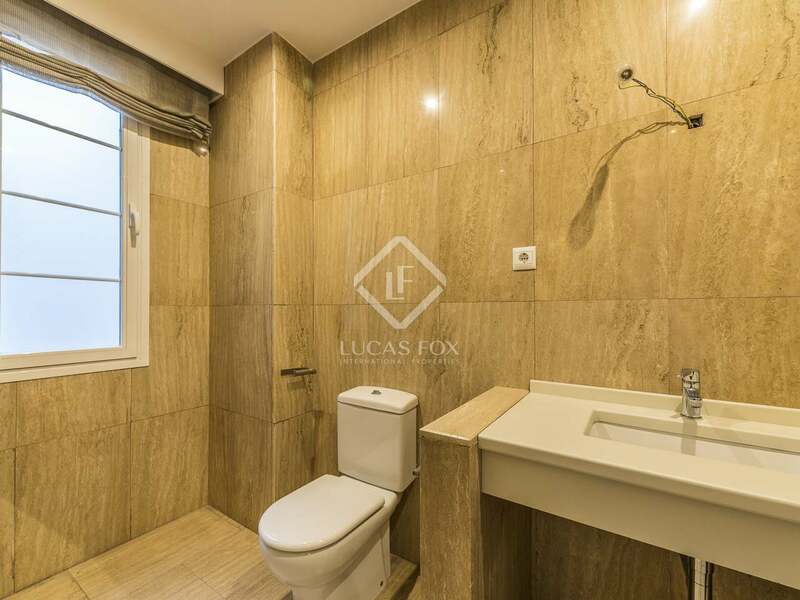 The master bedroom has 2 built-in wardrobes plus an en-suite bathroom with a shower and bidet. 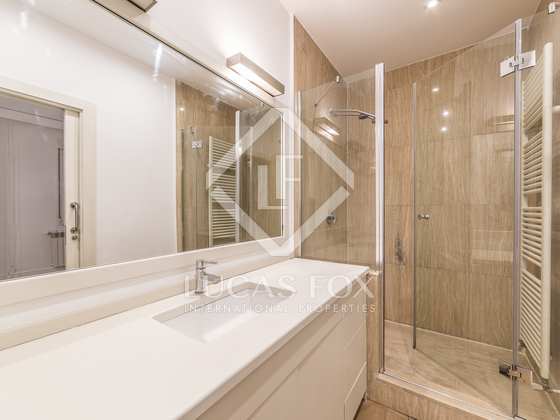 To the left of the master bedroom is the second double bedroom, also with built-in wardrobes and with an ensuite bathroom with a shower. 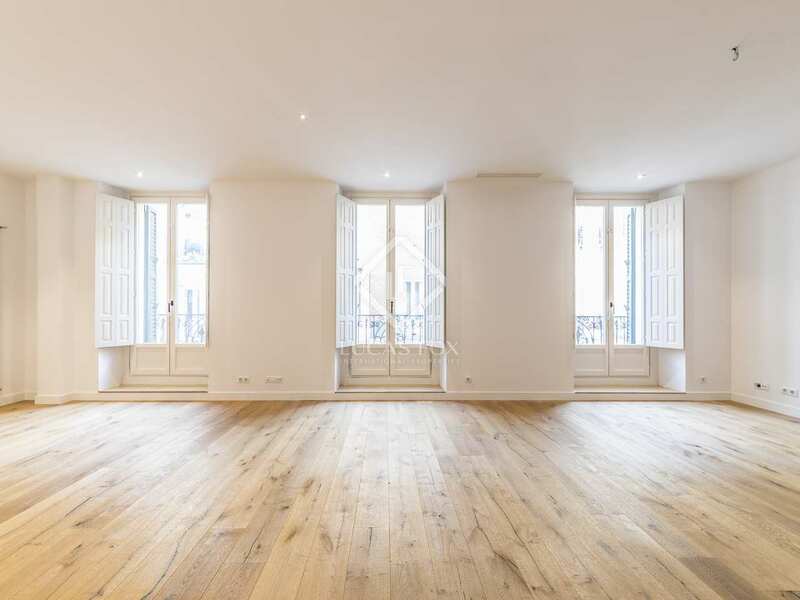 The property has heating and air conditioning to ensure year-round comfort. 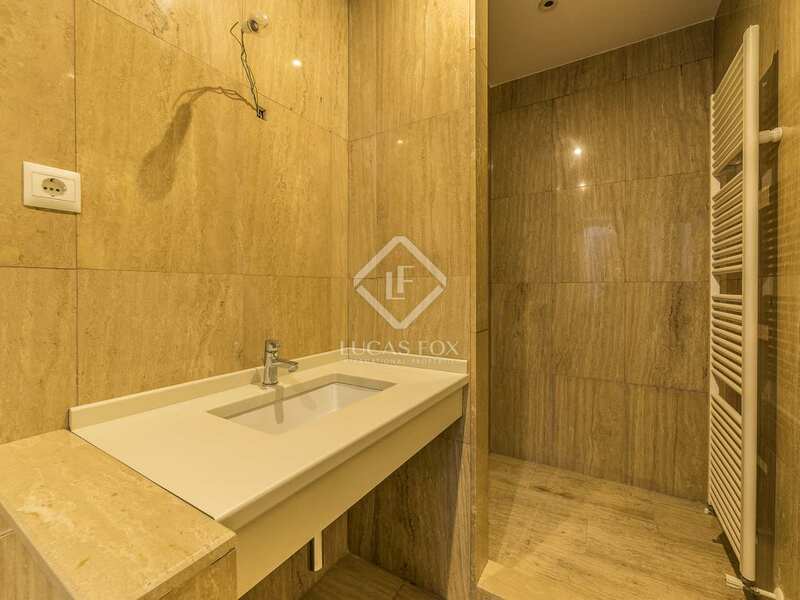 Contact us to discover this luxury apartment for rent in Justicia. 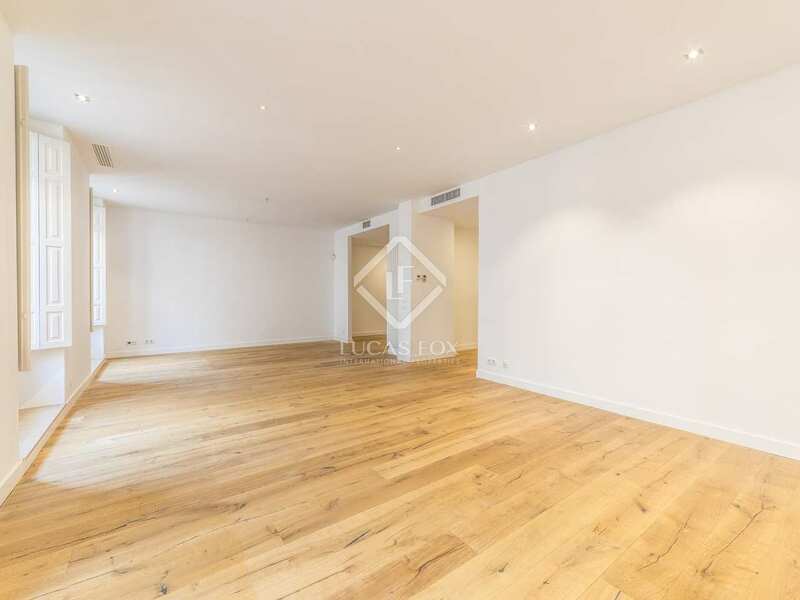 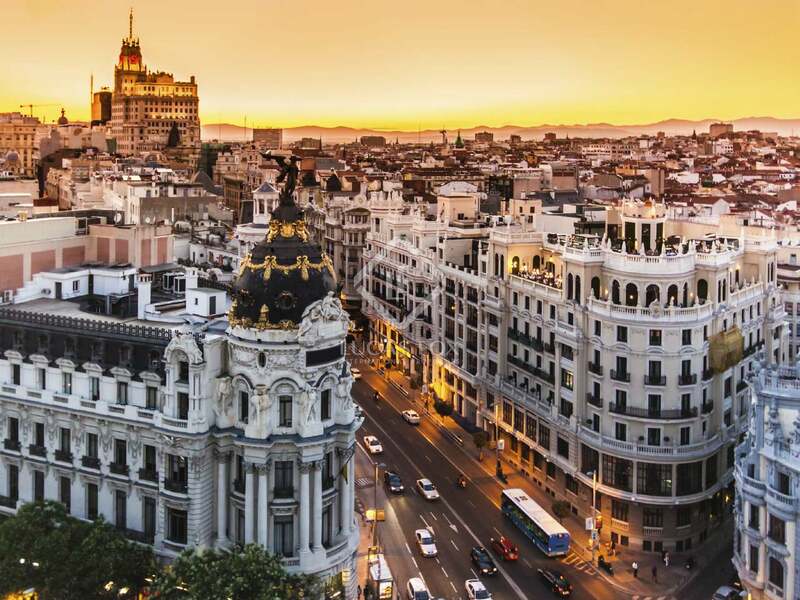 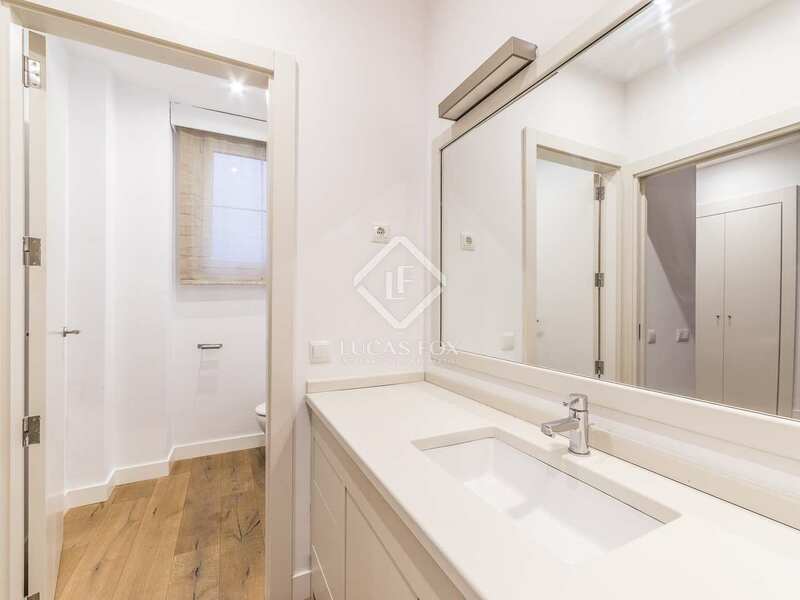 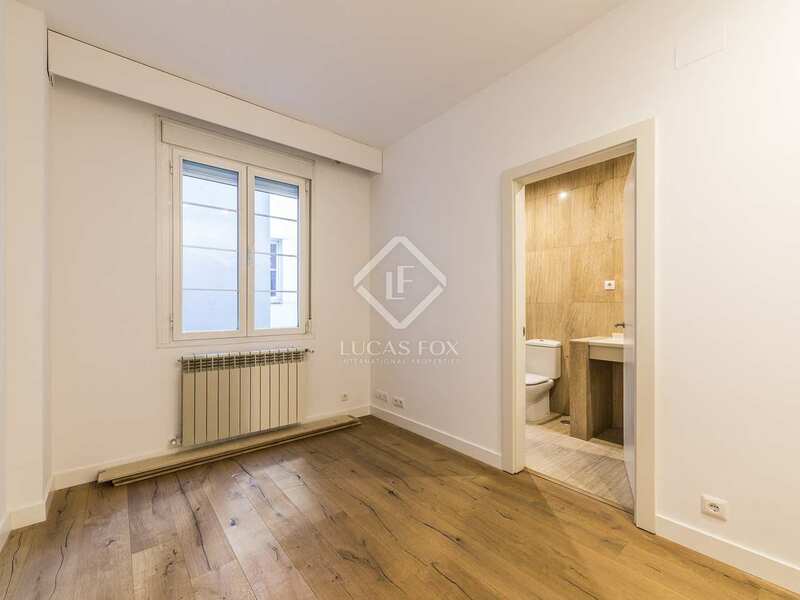 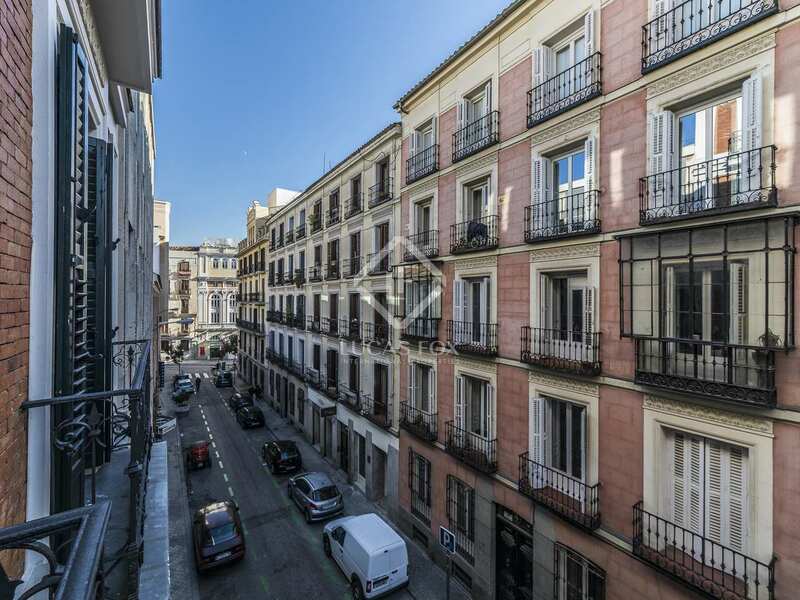 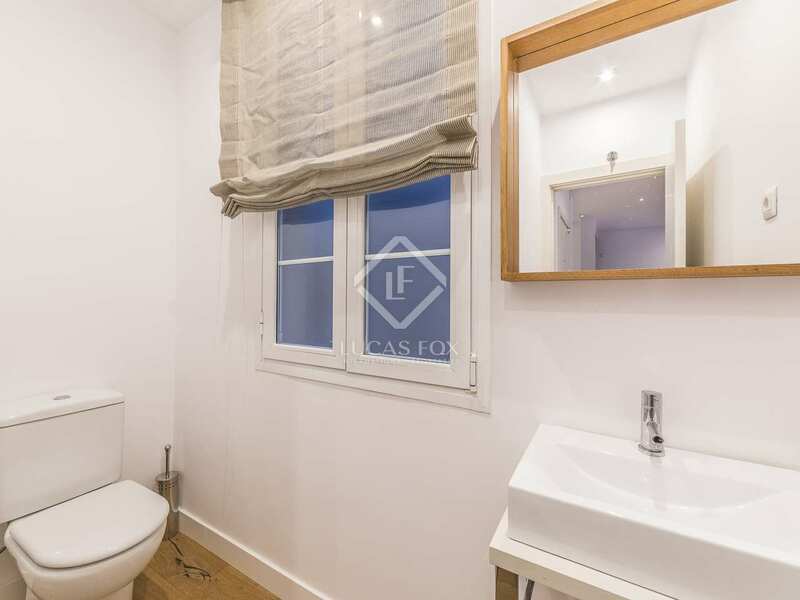 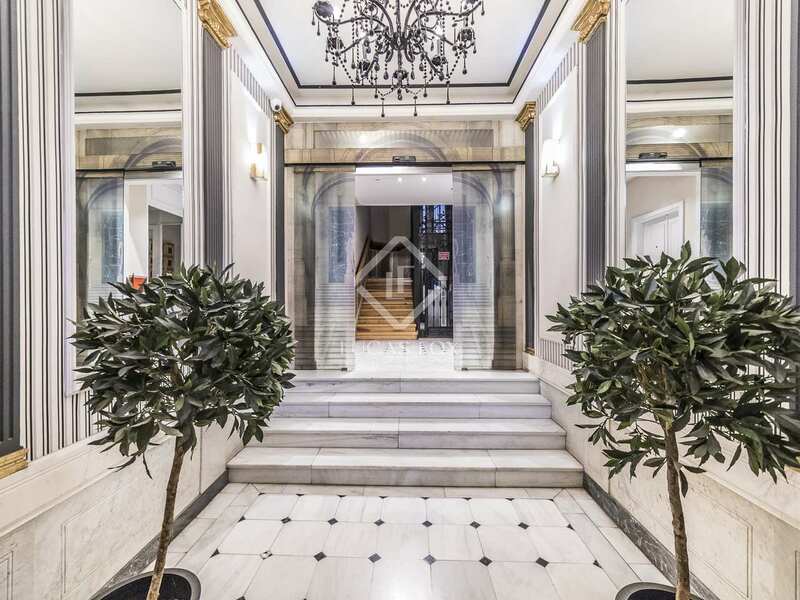 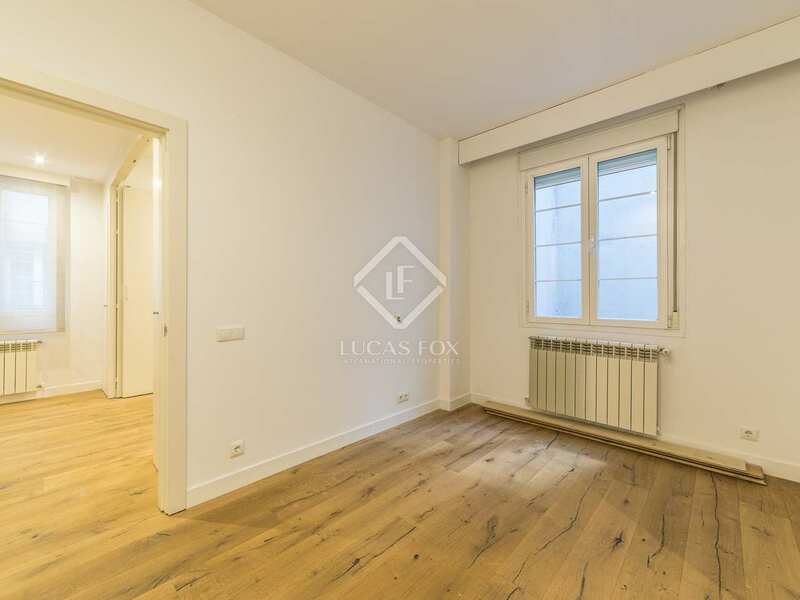 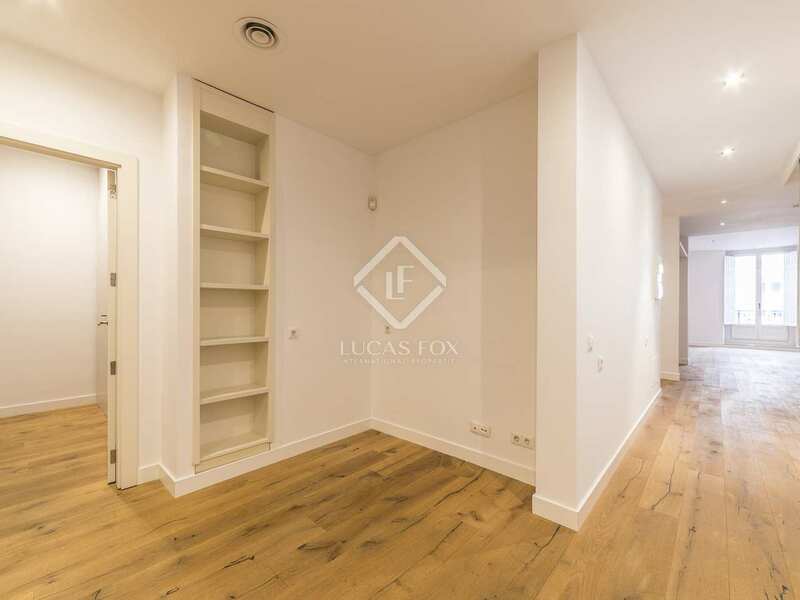 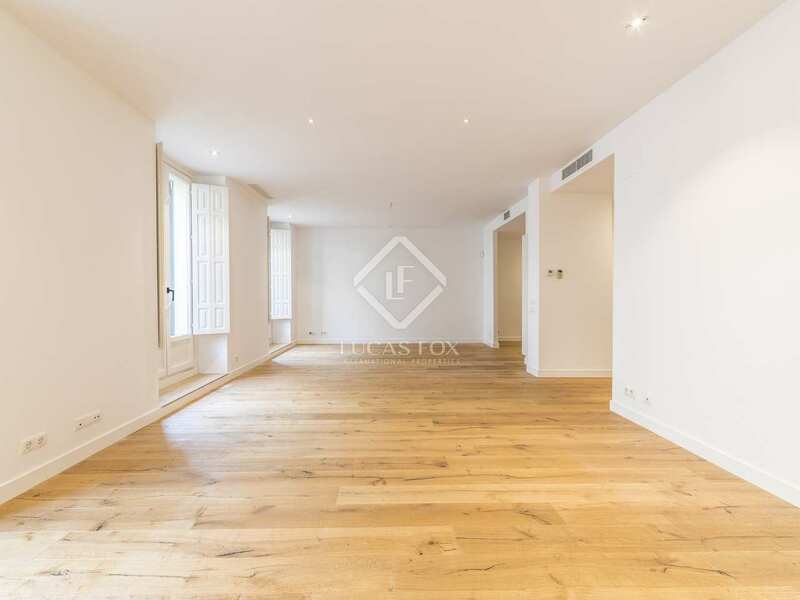 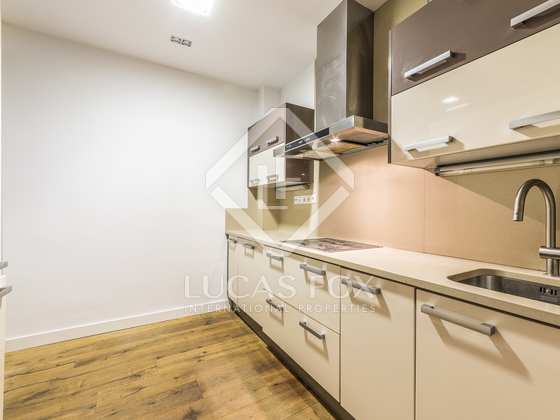 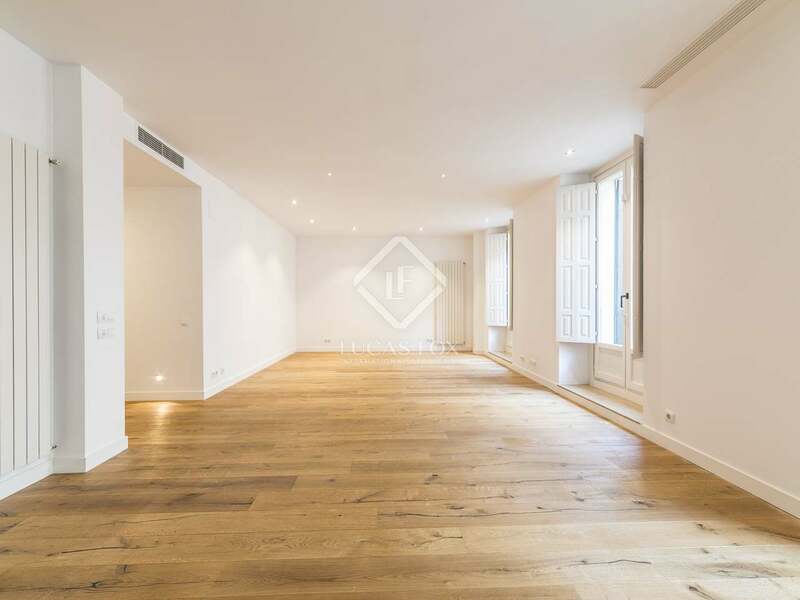 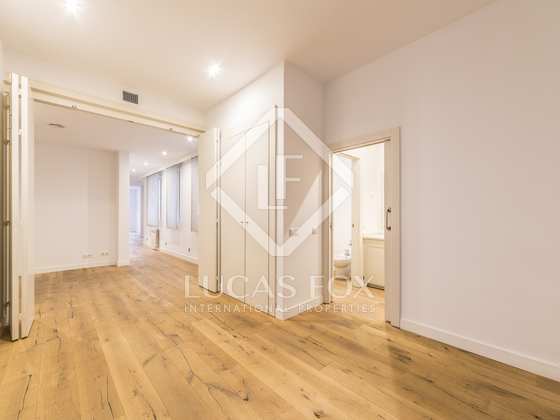 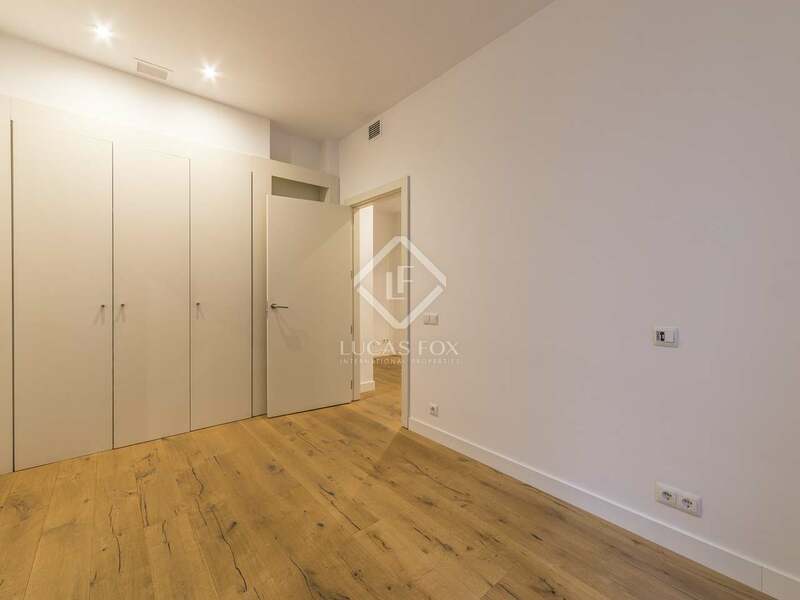 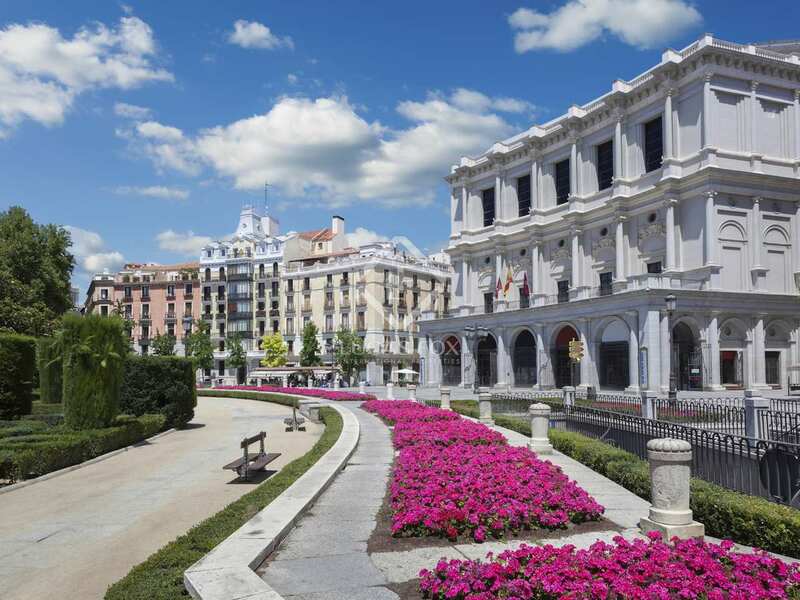 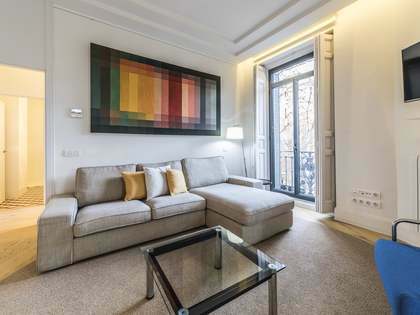 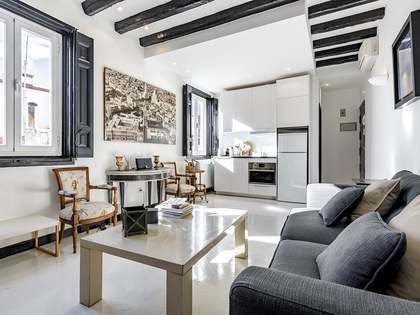 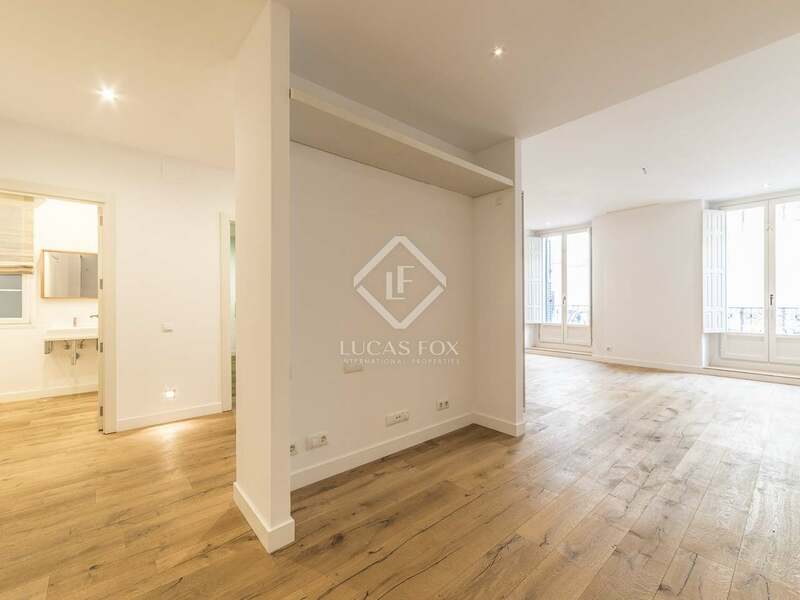 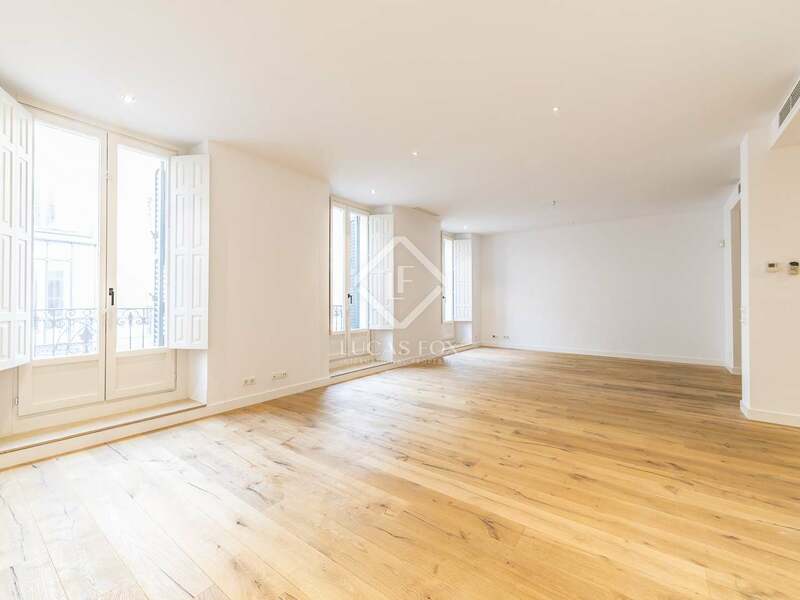 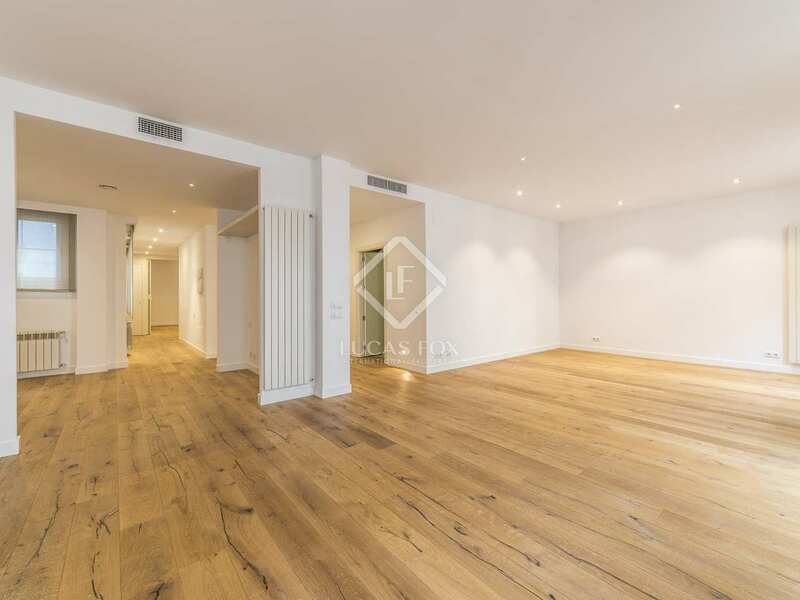 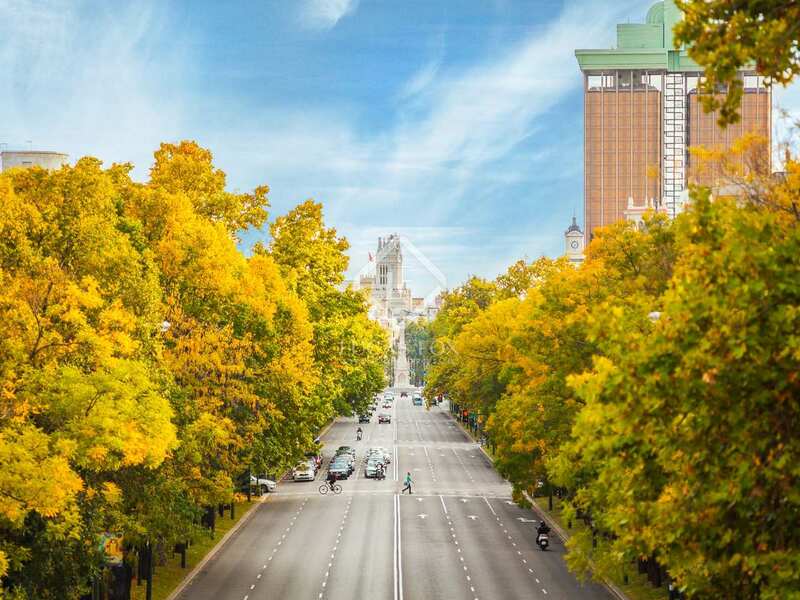 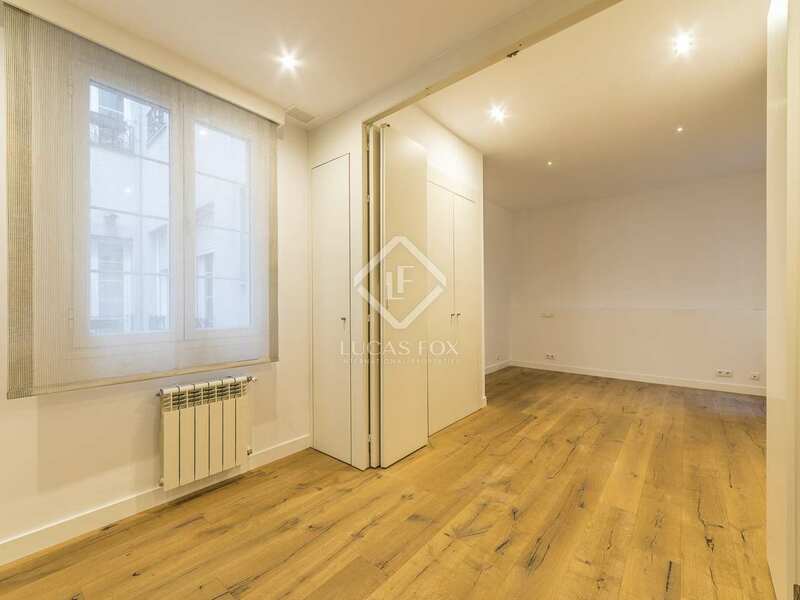 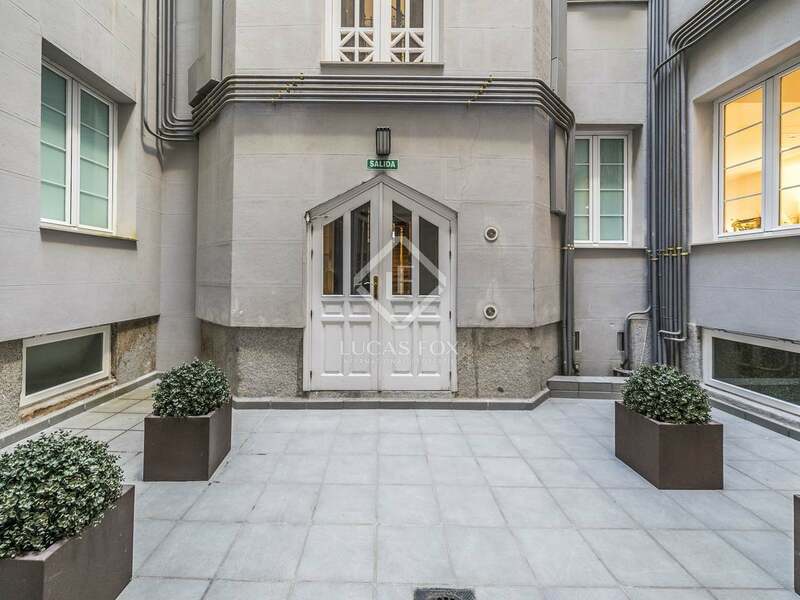 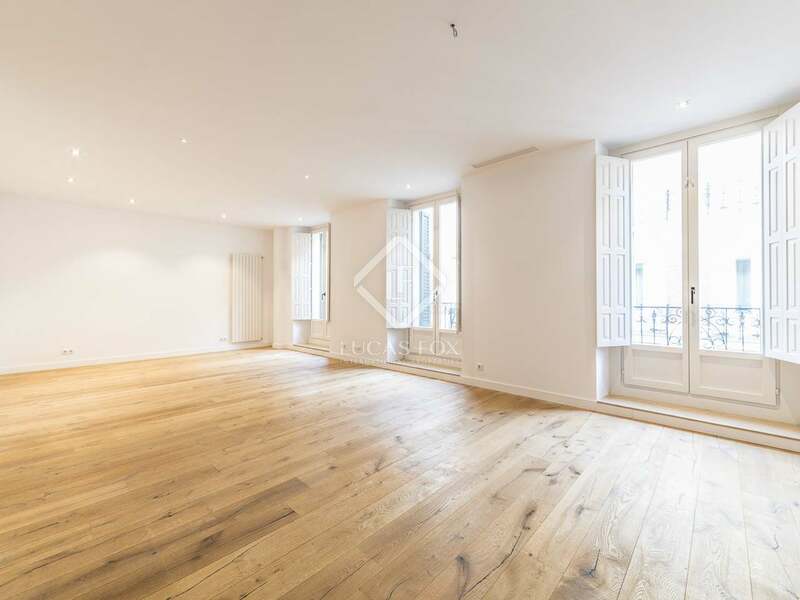 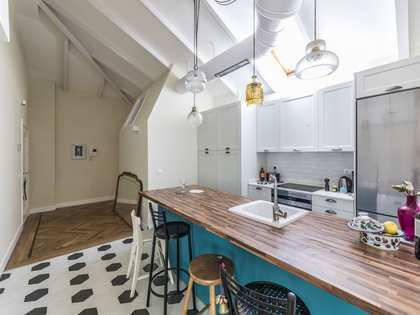 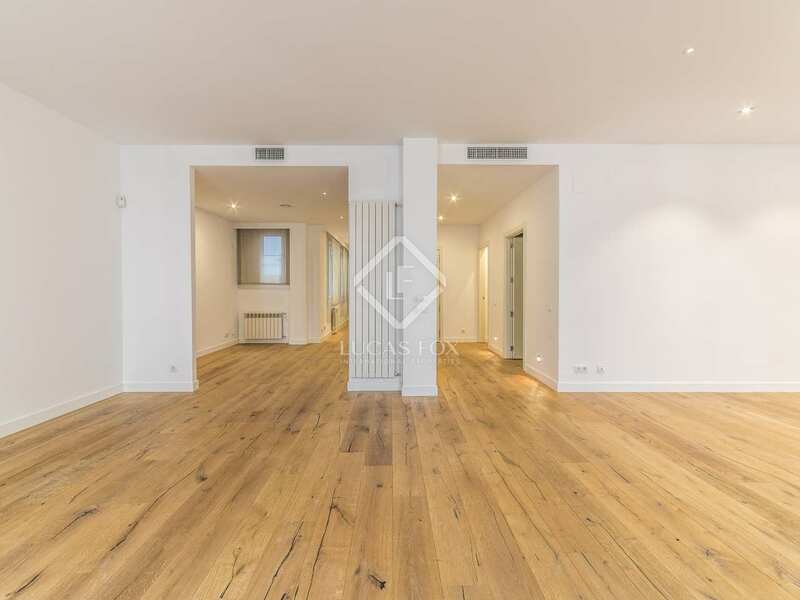 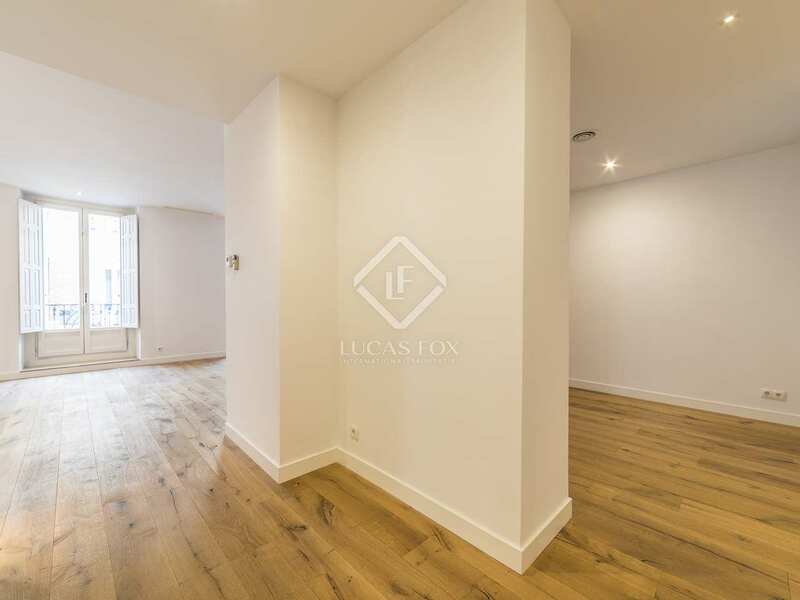 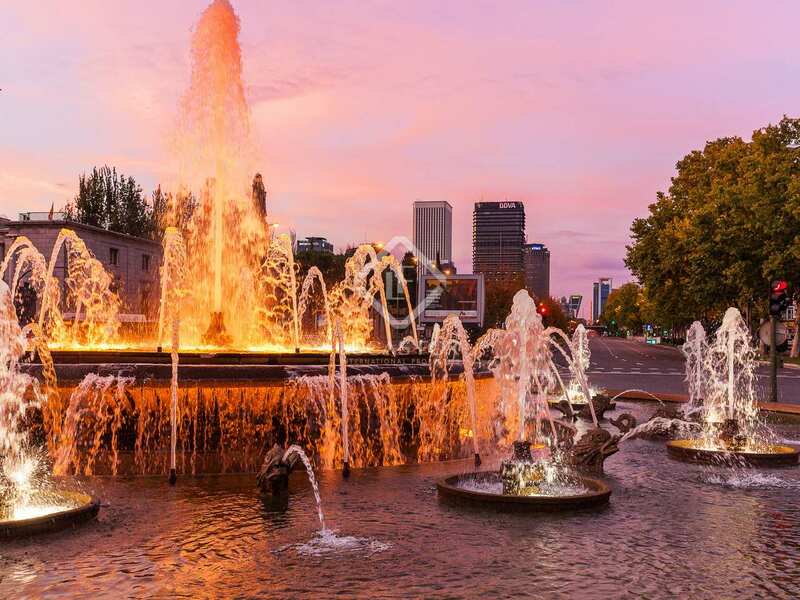 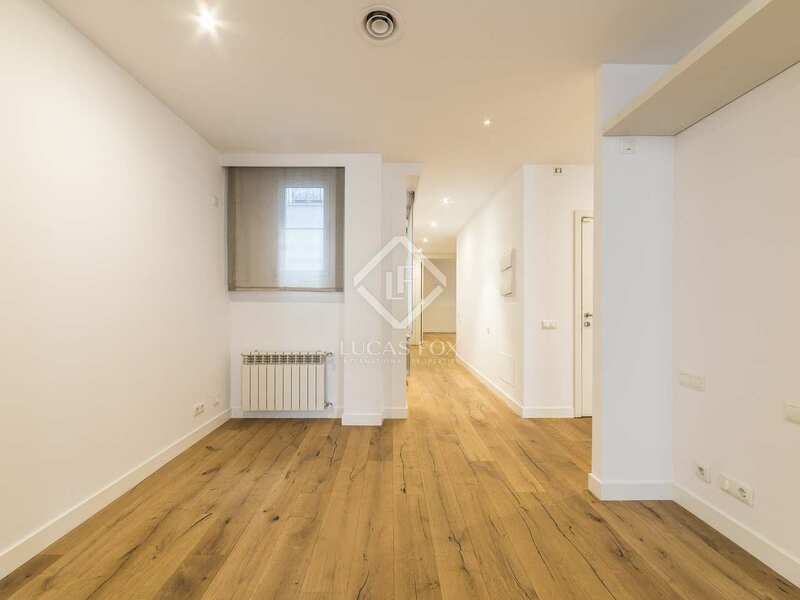 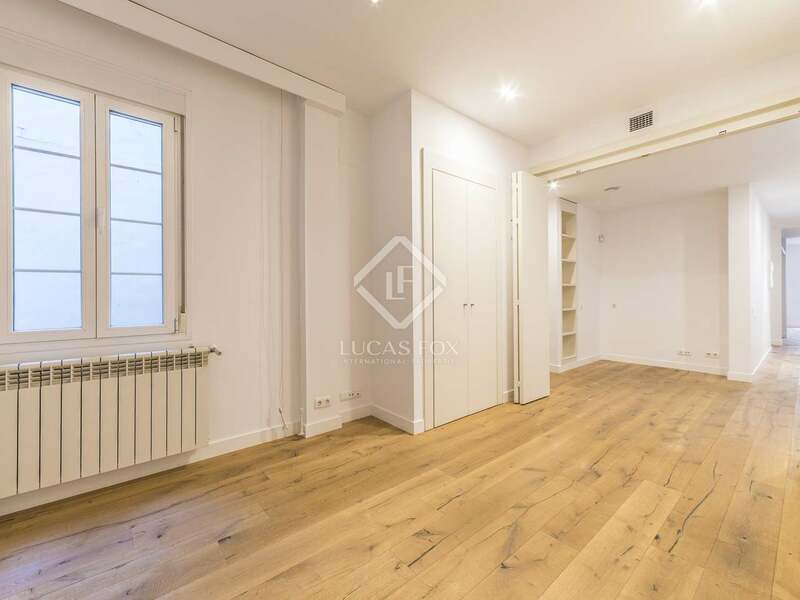 This property is located in the heart of Madrid, in the neighbourhood of Justicia-Chueca. 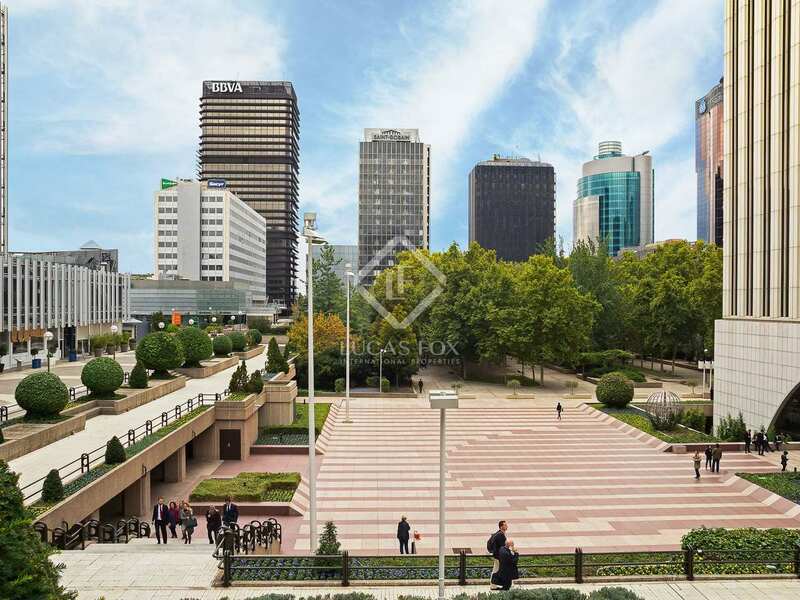 An exclusive area with a number metro stops and public transport connections very close by. 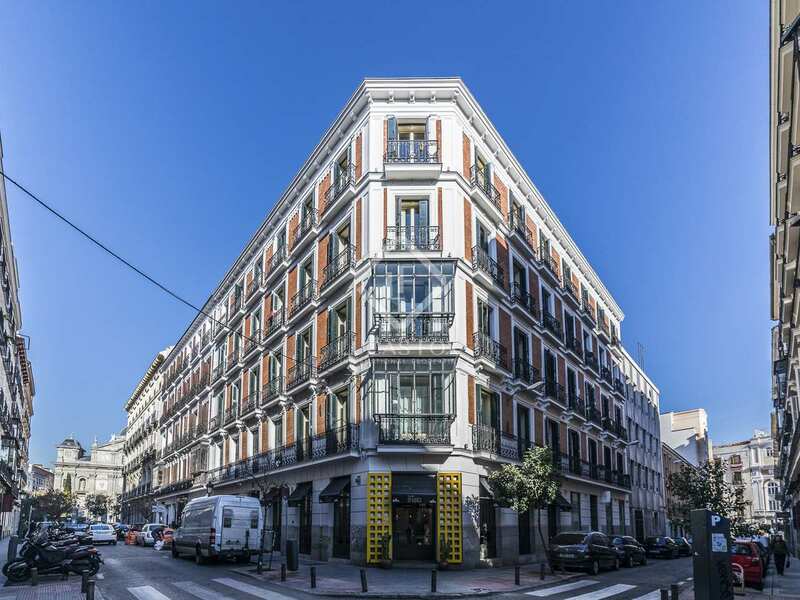 Justicia also offers numerous restaurants and high quality fashion stores as well as all kinds of everyday services.